This journal would not be possible if it wasn’t for the volunteers who take time out of their day to ensure the Clinical Legal Education Journal is running smoothly. Are you looking for an extracurricular activity? Interested in legal work? Are you a good writer? Why not become a content creator for the Legal Education Clinic? Start your legal research career by writing journal posts on topics that interest you! There is room for advancement to Sub-Editors and even to Editor-in-Cheif. Visit the Submission page to learn how you can start submitting your work TODAY! Anthony is a final year Sussex law student working toward his LLB with International Relations. 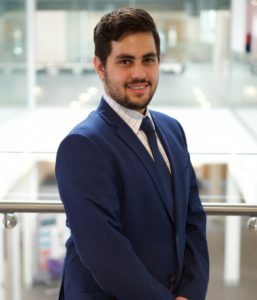 He is the President of the International Relations Society at the University of Sussex, as well as a Student Trustee for the Students Union. Furthermore, he designed the Migration Law Clinic website and volunteered as a Legal Researcher & Document Drafter within the clinic. For 2 years, Anthony studied Conflict Studies and Human Rights at the University of Ottawa while serving in the Canadian Armed Force’s Reserve Unit; Governor General’s Foot Guards before moving to Brighton. He hopes to work in the field of International Public Law, International Arbitration, Maritime Law, Operational Law, and Law of Armed Conflict with a special emphasis on war crimes, crimes against humanity, and refugees. Smruthi is a final year law student completing her Graduate Entry LLB at Sussex. She previously completed a Bachelors of Business Administration with a specification in both International Business and Human Resources in Canada. 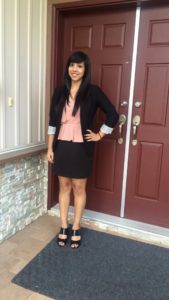 She hopes to work in International Corporate Law as this way she can best utilize both her business and law degrees efficiently. To aid in her goal of working as a solicitor she will be starting her LPC with a joint LLM at University of Law, London Bloomsbury. After completion, she hopes to start a training contract at a city firm in London. Her current role as an advisor at Citizens Advice has enabled her to further her skill set of a lawyer while giving back to the community. She hopes to be able to provide and work for pro-bono services in the future as it helps an integral group of our society.